The experience of music, movement, and play is important at every stage of development, and even more important to those individuals for whom development has been interrupted. Children of neglect and trauma often share in common the uncertainty of adults abruptly leaving their lives. For instance, these children may have witnessed parents being taken away by police, or remember being taken from their home by a social worker, not knowing when they would next see their parents. For the young child, these events are typically unplanned and they do not always get to say goodbye to a loved one, nor get a hug goodbye. My story dance class reaches out to children who have lived through these types of disruptions, sometimes more than once. A special element that has evolved in these groups is the role of Brown Bear, who has become the Ambassador for Hello and Goodbye Hugs. His role has developed over time and he now has an important place in my story dance classes. At the beginning of each class, I remind the students that Brown Bear is soooo forgetful and that we all must tell him our names - again! I tell Brown Bear my name and pass him around. Each student tells Brown Bear their name and gives him a squeeze. The act of saying their names aloud has it's own empowering affect. Several of the children have delayed speech and finding their voice to say their own name is, for some, difficult. Often, the other children will not give the child holding Brown Bear the chance to say their own name, they just start shouting it (no matter how many reminders they get). Still, some of these more quiet children have taken the opportunity to say their names with Brown Bear in their arms. Some do not say their own name, but they will hug him, and pass him to a friend. At the end of class, I bring back Brown Bear who travels to each student for a goodbye hug. This has been an beautiful event to witness and it is an essential part of class now. Perhaps amidst the fun of singing, dancing, and reading stories, Brown Bear is helping these little ones gain wholeness and healing by giving them the chance to say hello and goodbye, on their terms. Perhaps. Or maybe it's just nice to hug a soft cuddly bear. I may never know the long term benefits of Brown Bear's role in their lives, but I do know that each child beams with joy when they hold him, and that is reason enough to bring him every week. 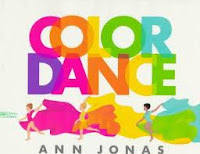 Before I offer scarves to any of the preschoolers, or even the older ones who I do these classes with, I like to read the story Color Dance by Ann Jonas. Students preschool through kindergarten are captivated when I read this. When the story is over, I tell them that we will do our own color dance. I pass out the scarves and regardless of what age I am working with, they get excited. To lead up to our color dance party, I play I Have a Little Scarf from Moving with Mozart by Georgian Stewart - a great guided music experience I recommend for any early learning classroom. I begin with this track because it introduces students to the different ways they can move with their scarf - like a ship sailing by, an enchanted curtain, leaves falling from a tree. The favorite is the shooting star, when we throw our scarves up in the air and try to catch them when they fall. After our scarf exploration, it is time for the scarf dance party where students get to dance however they want with their scarves. The little ones love when I come-up to them during the dance party and cover them with a scarf, or let a scarf fall on them. The giggles abound! But here is the problem I have with the book Color Dance. The entire thing is based on the primary colors and how they mix together to make new colors, but all the reds are pink! Before I read the first word of the story - which is the word red next to a girl dancing with a large scarf of the same color - I ask the children, what color is this? They all have the same answer, Pink! Then I show them real red in the form of a felt square, to make up for the red missing in the publication. The publishers of this book really messed up here, didn't they read what they were printing? Now when I read this book, I show all the colors with matching felt squares. I am thinking about painting over all the pink scarves that are supposed to be red with red paint so I don't have to keep going through this. Though despite this major glaring flaw, I continue to use the book because it really is a great a book for a creative movement class. It would be great however to see this book reprinted so that the red actually looks red.